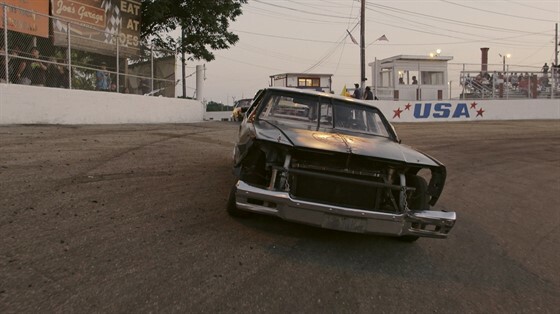 "The Last Race" is an intimate portrait of a small-town stock car racetrack and the tribe of passionate blue-collar drivers that call it home, struggling to hold on to an American racing tradition as real estate development threatens its survival. Award winning filmmaker Michael Dweck’s stirring imagery takes you inside the world of grassroots racing and eye to eye with the cars’ snarling grills and white roll bars that protrude like bones out of scarred metal. Yet a patient camera lets us know the drivers as everyday people and learn that the racetrack is tied to a deep sense of identity. The track is on the only piece of undeveloped land in the area — it's worth millions — and the only thing keeping the bulldozers at bay is track owners Barbara and Jim Cromarty’s love of the track and its community.